Newcomer Family Obituaries - William L. 'Bill' Shinaver 1938 - 2019 - Newcomer Cremations, Funerals & Receptions. William L. "Bill" Shinaver, age 80, passed away peacefully on Saturday, April 13, 2019 at Advanced Specialty Hospital. He was born on December 21, 1938 to William D. and Agnes (Micenec) Shinaver in Toledo. Bill attended St. Michael's Elementary and graduated from Woodward High School. 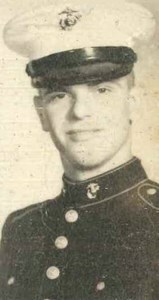 He proudly served in the USMC and following his time in the military he worked at Libbey Glass. Bill later worked for the Toledo Police Department as one of their very first K-9 Officers with his partner and love of his life, Rommel. After retirement he enjoyed taking life easy, playing cards and a good game of bowling. Left to cherish his memory are his children, Cheryl Nimphe, William (Cathy) Shinaver, Steve (Kimberly) Shinaver and Dave (Melanie) Shinaver; step-daughter, Tami (Dave) Hyter; grandchildren, Brittany, Brandon, Ashley, Michael, Alex, Kara and Brooklyn; 4 great-grandchildren; sister, Charlotte (Forest "Woody") Ulman; nephew, David Trzonkowski; niece, Dawn Allan and first wife, Karen Shinaver. In addition to his parents, he was preceded in death by his wife, Carol Shinaver. The family will receive guests on Wednesday, April 17, 2019 from 2-8:00 p.m. at Newcomer - Northwest Chapel, 4150 W. Laskey Rd. (419-473-0300) with his Funeral Service starting at 10:30 a.m. on Thursday, April 18, 2019 in the funeral home. Memorial Contributions may be made to N.W.O. Alzheimer's Association. To leave a special message for Bill's family please click on the, "Share Memories" tab above. Add your memories to the guest book of William Shinaver. Prayers for Bill and family. Bill was my neighbor for 13 years. He was really wonderful to us. We appreciated having him across the street. I loved taking him meals and sitting and chatting on his porch. He will be missed. I love u with all my heart i have so many fond memories of u... Trips to disney , Sawmill creek resort, cedar point and vollmers park i could go on an on..I was so blessed to have you in my life and i sure will miss our fun chats and laughs...I hope you and Mom are together Please tell her i love her..Thank for showing me love and always being there for me. I love u dad..hugs 2 heaven.. I love you and will miss you for eternity. You are at peace, at last. Now you can be with Rommel again, and I am sure he is glad to see you. He sure wondered where you were, now he searches no more. May you and your best friend reunite. Rest easy Dad, kick back, play a few good hands of poker and watch over all of us and keep us from making a "bonehead" mistake. Your favorite word when we did something stupid. We will all miss you, and pray God takes you in his arms.